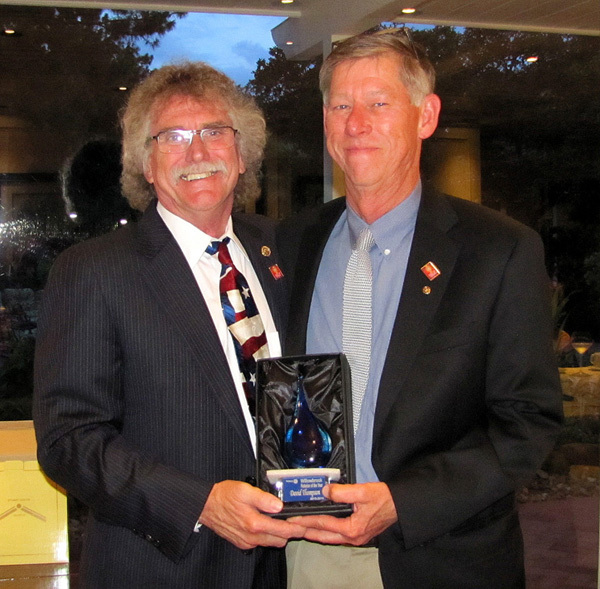 Willowbrook Rotarians selected David Thompson as Rotarian of the Year for 2013/2014. David served as Vocational Service Director this year. He was the primary supporter behind efforts to improve Willowbrook's scholarship program to recognize students with the motivation and drive to succeed in their college program. He directed the 2014 Scholarship program in awarding 3 scholarships at Klein Forest and 1 at Klein High to deserving and ambitious Seniors. David also worked closely with the new Interact Club at Klein High assisting their formation and helping the Faculty Advisor establish an active and productive student organization. David is the Willowbrook Rotary Club President for the 2014/2015 Rotary year.